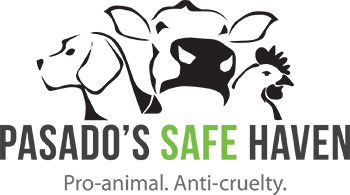 Pasado’s Safe Haven has a uniquely comprehensive approach to fighting animal cruelty. In addition to investigating animal cruelty crimes and providing sanctuary and rehabilitation to animals who have suffered from abuse and neglect, they also advocate for better laws to protect animals and work to educate the public about how they help end animal cruelty. Pasado’s Safe Haven is dedicated to ending animal cruelty and neglect. Their sanctuary is home to hundreds of animals including dogs, cats, and farmed animals. Most arrived from abuse or neglect and now live out their lives in peace and safety. Help support Pasado’s Safe Haven when you donate a car, truck or other vehicle.